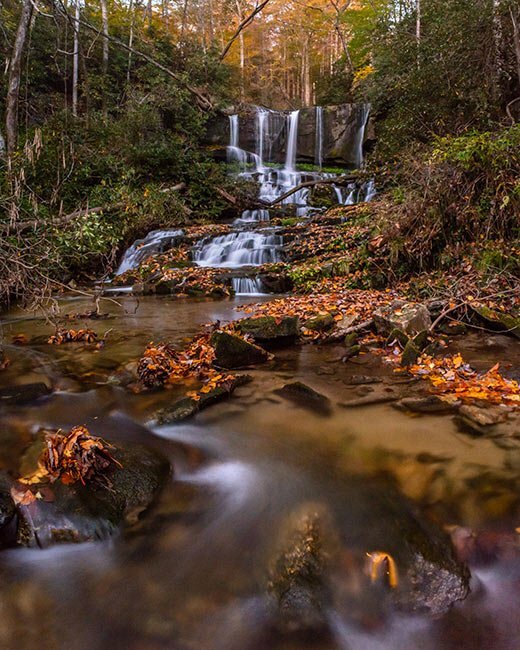 Laurel Fork Heritage Preserve in Pickens County encompasses 1,361 acres of mountain terrain along the Blue Ridge Escarpment in the Jocassee Gorges. The preserve is home to large stands of enormous tulip poplars (Liriodendron tulipifera), mixed hardwoods, and several plant species of concern, including the Oconee Bell (Shortia galacifolia). Laurel Fork Heritage Preserve was designated an Important Bird Area by the National Audubon Society and invites hikers, birders, plant enthusiasts, and nature lovers to appreciate its pristine beauty. The Foothills Trail, a 77-mile hiking trail through the mountains of South Carolina and North Carolina, winds through Laurel Fork Heritage Preserve and takes hikers alongside the Virginia Hawkins Falls, pictured above. Also known as the Double Falls, the small waterfall is known for its water purity and abundance of plant and animal life. Moisture from the stream along with the shade provided by the rocks create prime habitat for species that thrive in this cool mountain clime. 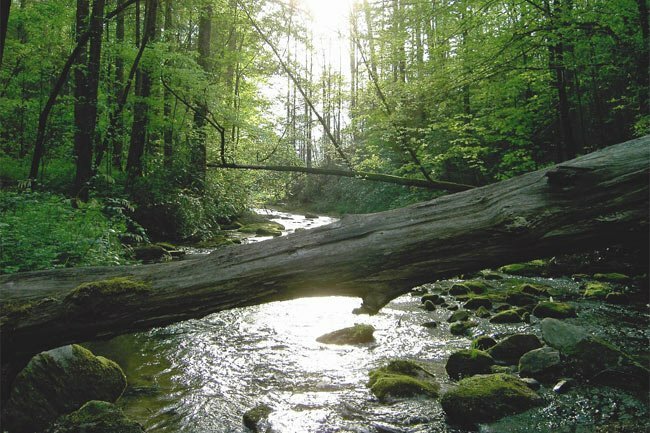 Also cutting through the preserve are the headwaters Laurel Fork Creek, though the Laurel Fork Falls are excluded from this tract and are solely under the management of the Jocassee Gorges. 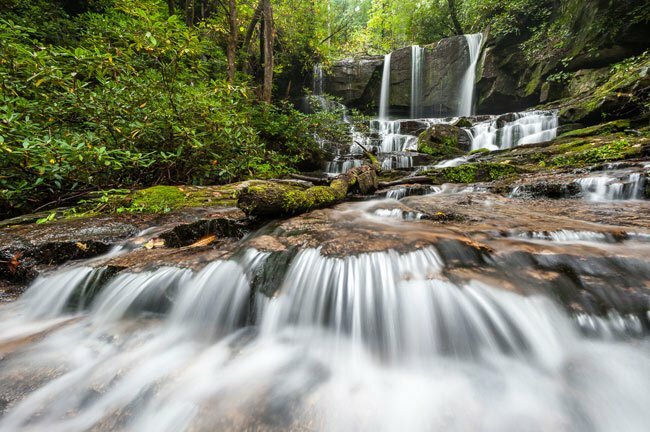 Though not part of the preserve, hikers will also appreciate the spectacular view of the Laurel Fork Falls, which eventually spill into Lake Jocassee. Photographer Mark VanDyke shares some accolades received by the area as well as his personal experiences living near the Jocassee Gorges: “A big thing happened for the Upcountry of South Carolina in 2013. National Geographic released a special issue on January 1, 2013 with the title: ’50 of the World’s Last Great Places: Destinations of a Lifetime.’ The Jocassee Gorges of Pickens County, South Carolina were one of three sites chosen in North America! Jocassee, Cherokee for the phrase, ‘place of the lost one,’ was said to be one of the last mystical undisturbed areas on this planet – an area quoted as having the second highest rainfall in the continental United States (75+ inches annually), as well as one of the highest concentrations of waterfalls in the Eastern United States. I consider it a great privilege to live near the Gorges and to have had the opportunity to hike and photograph many of its wild areas.